HIDDEN GEM NOT FAR FROM BEACH. 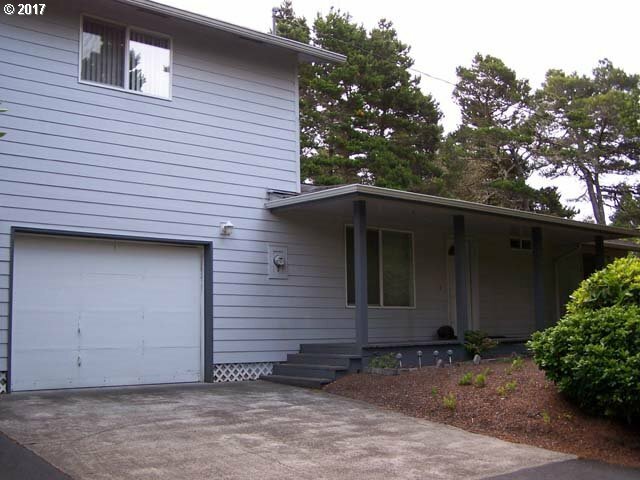 This charming home is nestled on over half an acre and convenient to the beach too. It is in Ocean Woodlands but has its own private driveway. It has 3 bedrooms, 2 baths with master suite on the second floor. In addition there are 2 shops, or 2 garages and a shop, plus a carport. Hardwood floors, fireplace, & cozy kitchen make this home attractive & inviting.